None at the time of release, although Mary Don't You Weep was issued as preview download ahead of the album in 2018. Piano & A Microphone 1983 is the first posthumous stand-alone album of previously unreleased material by Prince. The album is a recording of a solo piano rehearsal by Prince, assumed to be from spring 1983 at his Kiowa Trail Home Studio, Chanhassen, MN, USA. The album was announced on 7 June 2018 (which would have been Prince's 60th birthday) with the release of the track Mary Don't You Weep as a preview, and was released in September 2018, a month after the Anthology: 1995-2010 digital compilation. The album was released on CD, and digital download, as well as deluxe CD+LP format, packaged in a hardback 12” gatefold book, containing the album on CD and 180g LP. The announcement also states that the package will include a 12” booklet featuring brand new liner notes written by Prince's engineer Don Batts, who worked for Prince until July 1983 as well as candid shots of Prince including never before seen photos. 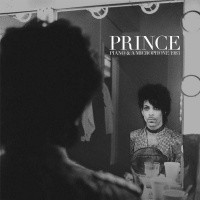 The album documents a home studio cassette recording by Prince. It was likely recorded by Prince to document works-in-progress and as a rehearsal only, rather than with the intention of using these recordings as a basis for overdubs or additional work. The remaining five tracks on the album have been released in other versions previously, although on disparate projects. International Lover was recorded in the studio on 14 January 1982 and released on Prince's fifth album 1999 later in 1982. Strange Relationship was initially recorded on 14 March 1983, but was worked on heavily over the next four years before it was released on Prince's ninth album Sign O' The Times in 1987. 17 Days, was re-recorded by Prince in January 1984 and released as the b-side of When Doves Cry. Purple Rain had been recorded live on 3 August 1983 and was released on Prince's sixth album Purple Rain, the first album to be credited to Prince and the Revolution, in 1984. A Case Of You was recorded by Prince in the studio almost 18 years after the session documented here, in Spring 2001, and released on his 25th album One Nite Alone... (which was similarly subtitled "Solo piano and voice by Prince") in 2002. Although no true singles were issued, Mary Don't You Weep was released as a preview ahead of the album on 7 June 2018. 17 Days was available as a pre-release download on 6 September 2018, and a 17 Days (Piano Version) 7" vinyl single was released in September 2018 as a cover mount with the German edition of Rolling Stone magazine. Why The Butterflies was released as the final pre-release download on 13 September 2018. Charting for this album will follow at the time of release. Certification for this album will follow at the time of release. All songs written by Prince except where noted. Thanks to: Warner Bros Records, Tim Fraser-Harding, Jason Day, Kate Dear, Giancarlo Sciama, Mike Engstrom, Shannon Ward, Angelo Schifano, Duane Tudahl, Mathieu Bitton, Patrick Jordens, Roald Bakker, Julian Stockton, Pascal Comvalius & Ken Eisennagel. Very special thanks to: Alfred Jackson, John R. Nelson, Norrine P. Nelson, Omarr Baker, Sharon L. Nelson, Tyka, Trevor Guy, Kirk Johnson, Troy Carter, Suzy Ryoo, Jill Jones, Don Batts, Lisa Coleman, and all Prince fams (and fans) worldwide. This page was last modified on 19 November 2018, at 09:37.